Even people who have an aversion to icy cold weather are tempted by the Arctic and what the pristine wilderness offers. It's an adventure. Known for its harsh extremes, it is also a nature lover's dream destination. Not only does the Arctic offer spectacular natural events, but its very remote location is a draw for anyone wishing to escape overpopulation and all the stress that accompanies it. A journey around the awesome Arctic region of the Svalbard Islands, an archipelago in the Arctic Ocean and just 600 miles from the North Pole, will take you into a remote area that is a breeding ground for polar bears, reindeer, seabirds, and other marine animals. The secret to knowing what to pack for the Arctic is to invest in warm wool or polyester basic-layer items such as a thermal vest and long johns. Avoid cotton thermals as these absorb moisture and you'll end up being chilly. With these polyester or wool thermals close to your skin, you can then wear zip-up tops and jackets over them, which you can discard one by one as the weather warms. People don't only travel to the Arctic for wildlife and remoteness; there are those who love experiencing city life, too. On the island of Tromsoya, off the coast of Norway, Tromso is a buzzing city 280 miles north of the Arctic Circle. While the sun doesn't rise here from November to mid-January, there is much to lighten up the lives of the locals as well as holidaymakers looking for lively entertainment in a city that hardly sleeps. Indoors are artificially heated, and you can still look stylish by simply removing some of your heavier outer layers for an evening of indoor entertainment. The Arctic winter lasts between November and February, and daily temperatures average at about minus 4 degrees Fahrenheit. With summer temperatures hovering around 0 in most places, it is only the very brave who will venture to pack in some short-sleeve items. 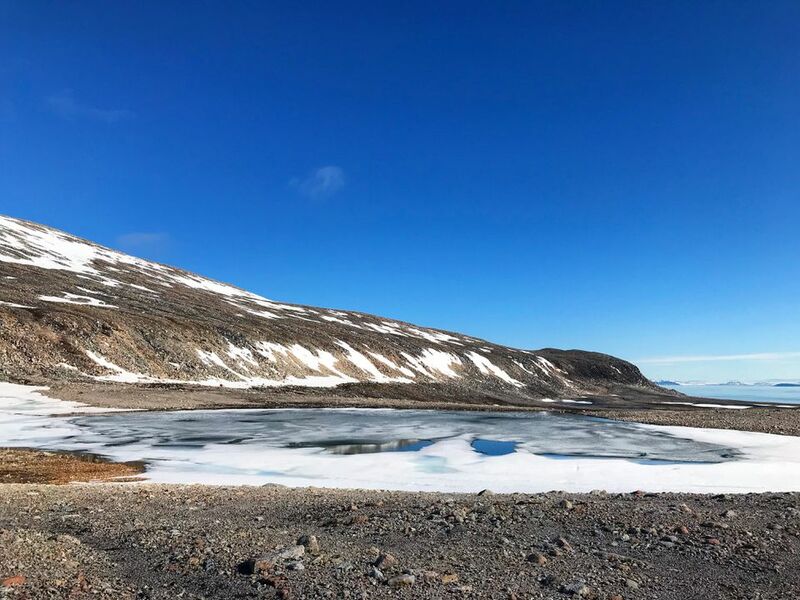 Even in warmer temperatures, such as at the Antarctic Peninsula, more moderate temperatures are still low, between 20 to 40 degrees Fahrenheit in the summer. Despite the low temperatures, you can still get a sunburn, and you should pack lip balms, sun protection creams, and sunglasses. When packing for the Arctic, don't forget to include waterproof jackets and pants. Snow is constantly melting, and you don't want to feel wet and cold while pursuing exciting adventure activities or out sightseeing. Of course, the key to staying warm in the Arctic is packing in those all-important accessories such as warm scarves, gloves, thick socks, and woolen head warmers. Some people scoff at the idea of packing rubber boots for an Arctic getaway, but you won't regret it. Some of your Arctic adventures might include visiting wildlife colonies in a Zodiac inflatable, and if you don't want your feet to freeze off when you step off one into the icy water, then rubber boots are simply must-haves. They also come in handy on Arctic cruises. If you are going to be in bitterly cold weather in the Arctic, knowing what to pack for the Arctic after the thermal basic-layer vest and long johns are included, is a warm jacket. A goose down jacket that is water- and windproof but also lightweight and breathable will meet all your Arctic exploration needs. These jackets are available in trendy colors for men and women and come with sturdy zips, making them easy to pull on and off as you need. Many people dream of snowy holiday experiences, and knowing what to pack for the Arctic will include some must-haves that will protect you from extreme exposure to the cold, and with careful thought, won't take up a whole lot of space in your travel bags. Want to learn what overlanding is all about? We've got you covered!